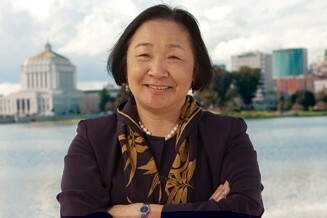 Leaders of one of the groups trying to recall Oakland Mayor Jean Quan have suspended their signature gathering campaign, saying they were not going to be able to obtain the required 20,000 signatures by May 14. “The reality is that the law sets a rather high bar in terms of the hours that you have to put in to gather the signatures you need,” said one of the leaders of the group, former city council candidate Charlie Pine, who added that his group has not been able to raise the money needed for paid signature gatherers. However, another leader of the group, Ken Pratt, said today that some members of it were going to soldier on. “I’m not going to give up,” Pratt said. But Pratt acknowledged that he and his colleagues have a difficult task. He estimated that his group had only gathered about 3,000 signatures to date. The group likely needs ten times that amount to ensure that it has enough valid signatures to trigger a recall election. A second recall group led by Gene Hazzard of the Oakland Post newspaper is circulating the same recall petition as the Pine-Pratt group, but it also is relying on volunteer signature gatherers, and so it faces an uphill fight to qualify for the ballot as well. A third recall group, meanwhile, led by former mayoral candidate Greg Harland, has raised some money and is in the process of hiring paid signature gatherers through Craigslist, the Oakland Tribune reported. Harland’s group reportedly has raised enough money to gather 10,000 signatures at $1 a signature. It’s unclear who is now funding the group. According to the group’s last campaign statement, it was more than $15,000 in debt. Pine had opposed the Harland group’s efforts, saying that having two recall campaigns going at the same time would confuse voters. But now that Pine's group has suspended it’s signature gathering, Pine is endorsing Harland’s group. Harland’s group has until July 2 to gather the necessary signatures, because it took longer for this group to get its petition certified by the Oakland City Clerk’s Office.